You’ve likely heard of pram envy before. But you may not have heard of cake envy. 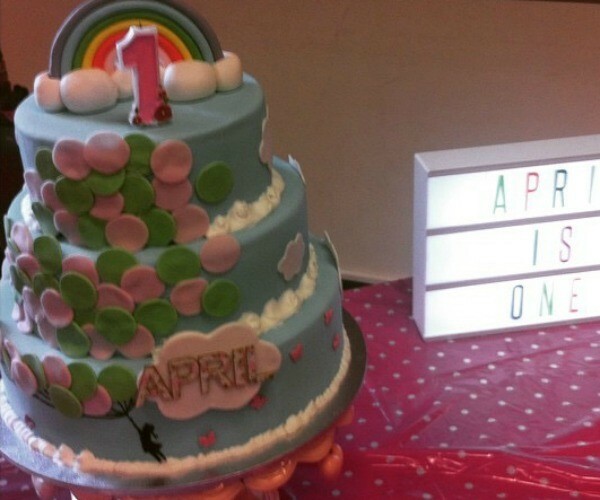 Come and experience first hand just how truly talented and creative our Babyology readers are as they show us their birthday cakes. These cakes are all baked at home by mums, aunts, cousins and friends for some very special little children. Prepare to be impressed, inspired… and if are like me, put to shame. Caitlin created this deliciously divine dinosaur white chocolate mud cake with vanilla buttercream in the layers for her son’s first birthday. Jessie wins the Best Aunt Ever award for her Mermaid cake, designed especially for her niece’s fifth ‘under the sea’ themed birthday. 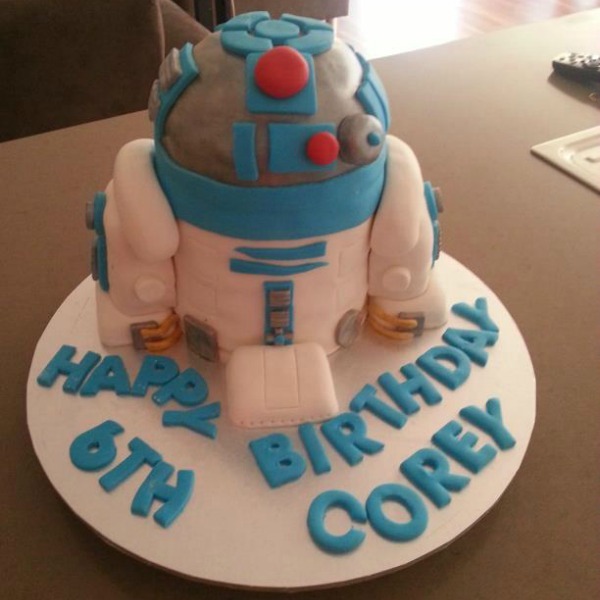 We love Carly’s incredible R2-D2 chocolate mud cake, made for a friend’s little boy’s sixth birthday. Corey is one lucky little fella! 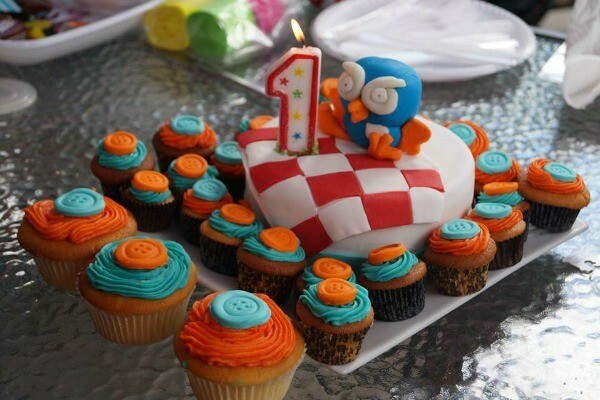 Mandy made a spectacular Giggle and Hoot themed first birthday cake, complete with button cupcakes. This adorable cake and cupcake combination would definitely make it onto the Giggle Gallery wall of fame. Maryam’s first attempt at a ruffle cake definitely deserves a mention. Any Frozen-obsessed little one, including Maryam’s cousin Nikki, will agree that this cake is iced to perfection. 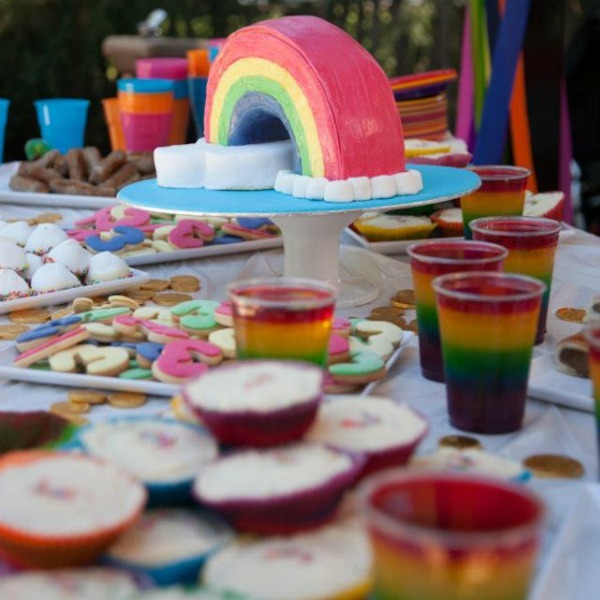 Rainbow cakes are always popular and Sarah’s daughter Violet got a colourful surprise for her second birthday party with this chocolate mud cake. Sarah tells us that she added “clouds to aid balance due to logistical nightmares the night before but looked very pretty in the end.” It certainly did! All the foods looks simply stunning! Well done Mum. 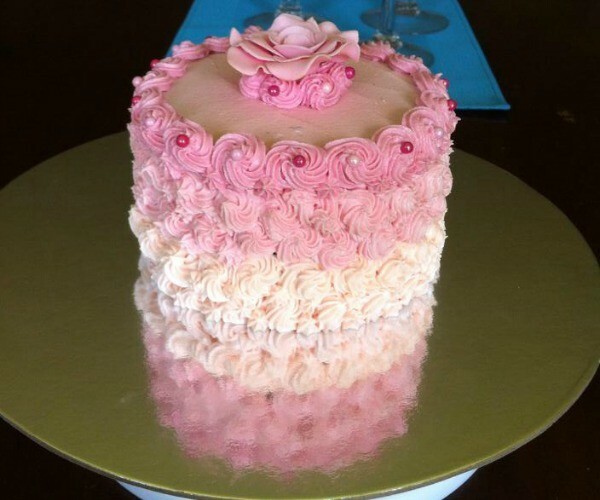 Holly’s pink rosette cake with a handmade fondant rose was designed for her friend’s daughter. This was actually the second cake made after Grandma accidentally sat on her Frozen birthday cake earlier. Nice save! Jessica’s chocolate cake covered in chocolate is pretty much a dream come true for any choc lover. 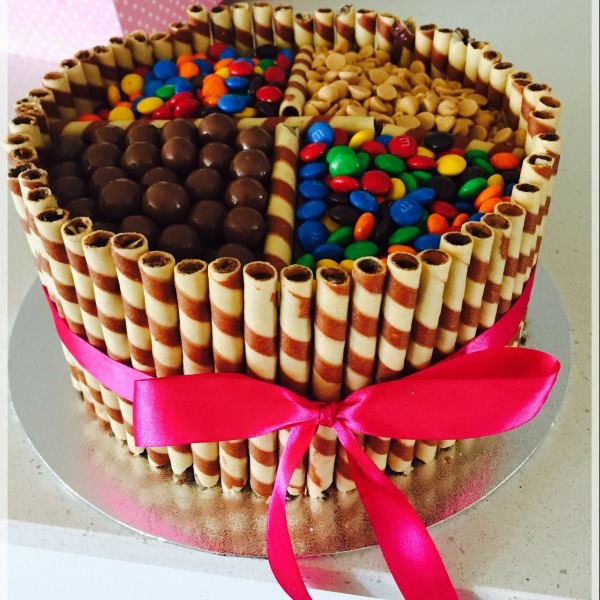 She created it especially for her daughter’s fifth birthday but I am putting my order in now for my 31st in May…. Catherine’s Seussian-inspired Cat in the Hat cake was just part of the fun of celebrating and decorating for her son’s first birthday party. She completed the amazing cake with plenty of Seussian decorations, food and even Cat in the Hat games. Toni’s first attempt at a cake went Hootastically well. She tells us that the recipe for the chocolate cake was handed down from her grandmother. So cute! Michelle created the ultimate fairy garden delight for her best friend’s daughter. 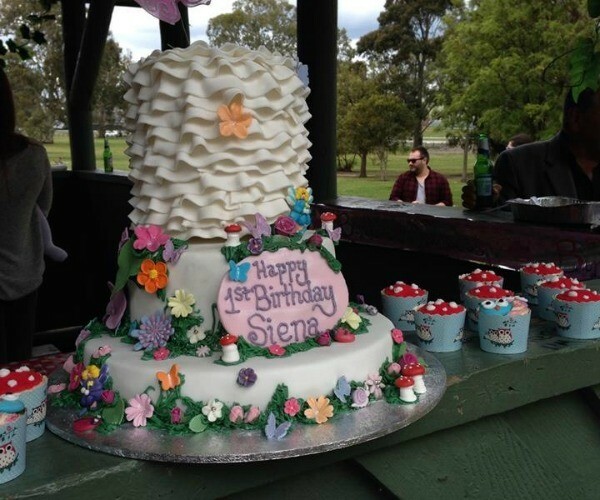 The chocolate cake with chocolate chips is the perfect addition to Siena’s fairies and butterfly garden party. Mel truly outdid herself. 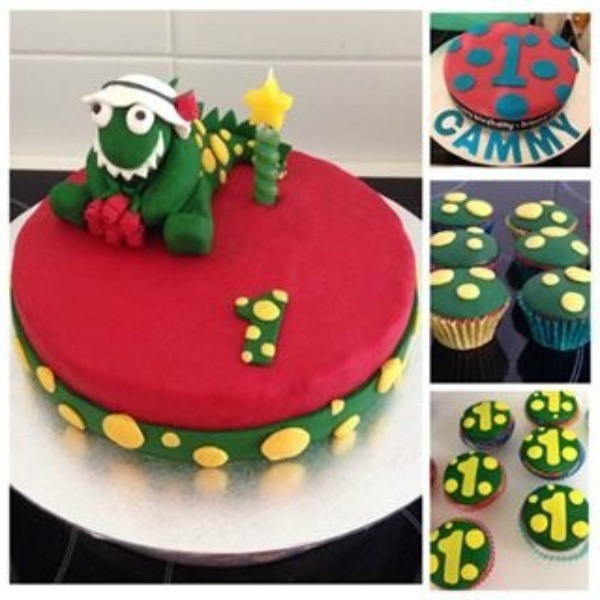 Not only did she create the ultimate vanilla flavoured rainbow Dorothy the Dinosaur cake, but she paired it with matching adult and baby rainbow cupcakes and a spotty rainbow smash cake, all for her daughter Cammy’s first birthday. This beauty was designed for six-year-old Georgie who requested a reptile party. 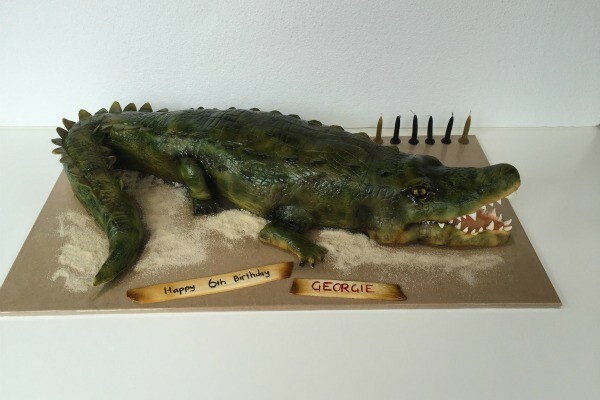 How incredibly real does the crocodile chocolate cake look? 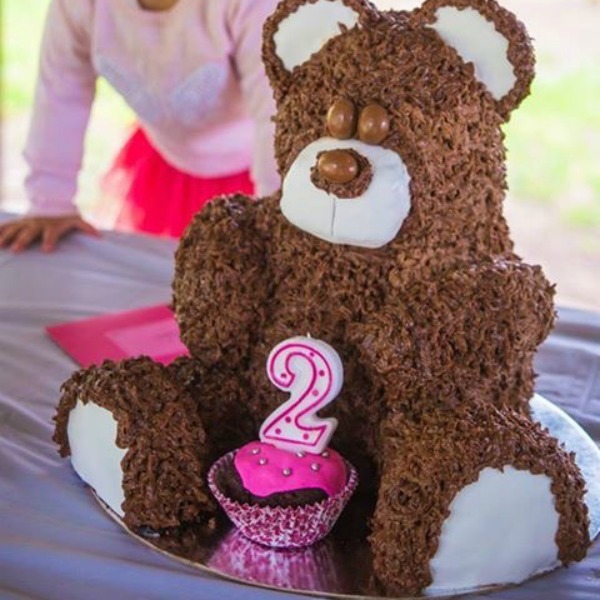 Michelle went above and beyond with her Up-inspired cake for her little girl to show her just how far dreams can travel. Trinette’s Cinderella-themed cake, topped with a real shoe, completes our epic homemade cake round-up. 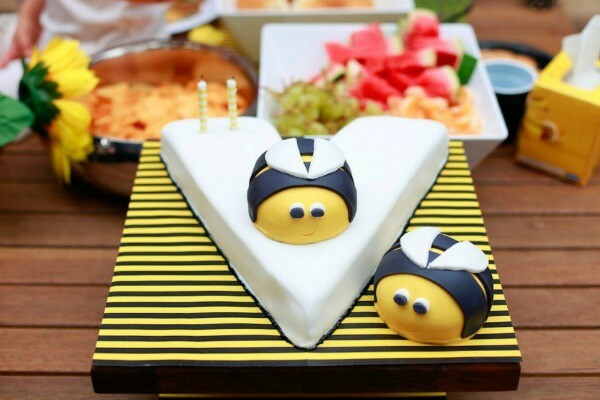 If you have your own cake and party fun to share, check out our Show Us Your Party section where you can submit your own photos.